The dynamic of the Energy Transition is engaged in many region of the World. This is a real challenge for electric systems and a paradigm shift for existing distribution networks. With the help of "advanced" smart technologies, the Distribution System Operators will have a central role to integrate massively renewable generation, electric vehicle and demand response programs. Many projects are on-going to develop and assess advanced smart grids solutions, with already some lessons learnt. In the end, the Smart Grid is a mean for Distribution System Operators to ensure the quality and the security of power supply. 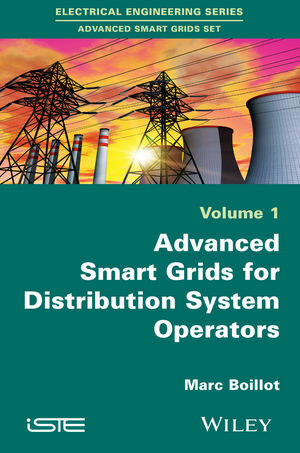 Several books have been written to provide a definition of Smart grids, explore the different technical evolution needed and explain / analyse what would be the benefits. All those books are conducted on theoretical basis by academics and strategy consultants. This new book will propose a complementary and singular approach based on a practical experience from DSO's.